Let’s have a look at some Best and Latest Google Chrome Tricks, Tips & Hacks 2019 that you can use in your browser to explore out new things in your Chrome. As here we are going to discuss some best things that you can try in your Google Chrome. So have a look at complete guide discussed below to proceed. Below we had listed the methods that got best hits of users and most of the visitors loved those guides. So have a look at these tricks. Above is the method To Quickly Hide & Save Tabs In Your Google Chrome that is possible with one Google Chrome extension that will allow you to close the currently opened tabs and will save their paths so that you can easily access them back whenever you need. Using this extension you can Search & Apply Best Coupon While Checkout In Google Chrome that will help you to make your browser such a way that at every checkout it can search for the best coupon and then automatically apply on your purchases to save you lots of money. In this guide, you will have the method To Strictly Limit Visits to Time-Wasting Web Sites In Google Chrome that will help you to block any particular website after a specific time that you will mention using one extension that will help to implement this. Now debating about the Night Mode Vision. It is the mode which helps to view the screen letters calmly at the night dark light. Many of you use laptops, computers at night and that is why we have a trick How To Use Night Mode Browsing In Google Chrome. This will be very convenient for you to browse easily in your browser at night. Proceed with the method above. Now you can Sync Google Chrome Data Across Multiple Devices using the Google Chrome’s user account feature that will help you to import-export data from one device to other. Ever been bothered by a pesky adware from out of nowhere? 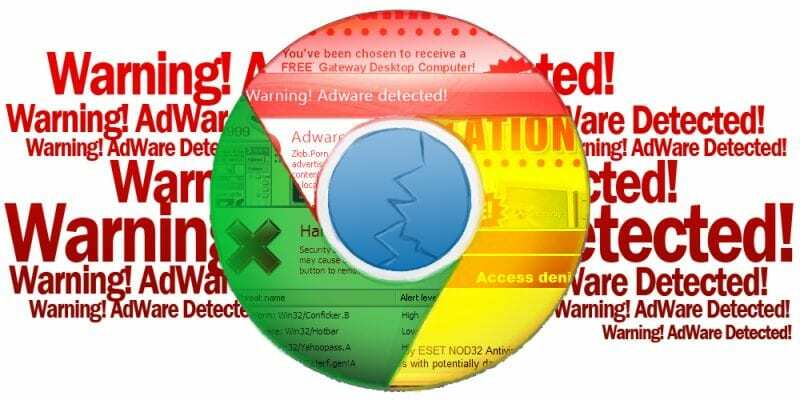 Here’s a surefire way on how to remove adware from Google Chrome. Use the above guide so that you can remove ads from your browser. Learn how to disallow websites from tracking your location in Google Chrome. If you are concerned about your privacy or if you don’t want any website to track your location then you are reading the appropriate post because today we are going to share a helpful method that will disallow websites from tracking your location in Google Chrome. We are going to share 3 methods, go through the post to know about it. We are here with a cool method for making your Google Chrome faster for Web Browsing. Go through the post to know about it. As you will be using one Google Chrome extension that will make your browser faster. You can save your researches on the internet in your Google Chrome browser itself as a memo using the extension Mini Mammoth. We are going to share a complete guide to saving the complete internet research on Google Chrome using Mini Mammoth. Go through the post to know about it. So above guide was all Best Google Chrome Tricks, Tips & Hacks 2019, Use these tricks and you can easily learn lots of new things that can be implemented using the extensions that are listed in the guides. Hope you like the guide, do share it with others too. Leave a comment below if you have any related queries with this as the Techviral team will be always there to assist you.